The jury didn’t buy Eddie Ray Routh’s insanity defense and the legal experts weren’t surprised. 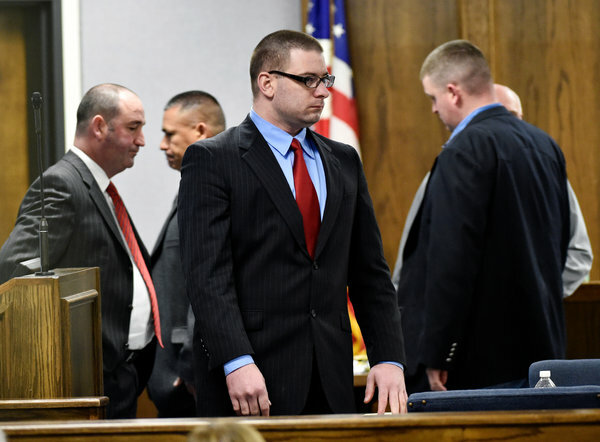 To win at trial, Routh’s attorneys had to prove that the ex-marine didn’t understand that shooting Chris Kyle and Chad Littlefield in the back was morally wrong. It is difficult to know what was going on in Eddie Routh’s mind the day he gunned down two innocent men at an upscale firing range in suburban Dallas. Nicholas Schimdle’s “In the Crosshairs”, a carefully researched New Yorker piece written shortly after the murders, makes a strong case that Routh not only suffered from PTSD but was deeply depressed and delusional in the months leading up to the murders. But that wasn’t sufficient. As state witnesses repeatedly emphasized, a defendant can suffer from mental illness and still distinguish right from wrong. It is likely, in fact, that Eddie Ray Routh killed Chris Kyle and Chad Littlefield because he had taken a fancy to Kyle’s spanking new Ford F-350. Would a sane individual believe he could get away with a crime this brazen? Probably not. But even if Routh was too detached from reality to appreciate the consequences of his action, that wasn’t enough to convince the jury. Moments after his arrest, Routh undermined an insanity defense by answering affirmatively when a state trooper asked him if he knew what he did was wrong. Chris Kyle is widely regarded as a war hero in Stephenville, Texas and several jurors had recently seen American Sniper a Clint Eastwood biopic featured in packed theaters as the trial unfolded. Kyle’s widow attended the Academy Awards (where American Sniper lost the best-picture competition to Birdman) short days before testifying in Routh’s trial. The governor wouldn’t exploit Kyle’s cult status if he didn’t believe a majority of Texans were with him. And he was certainly right. When Michael Moore and Seth Rogen appeared to (tentatively) question Kyle’s hero status, the vitriolic response was immediate. “Sickens me to see celebrities or anybody slam the very people who protect their right to talk s—,” country singer Blake Shelton tweeted. “You can’t handle the truth! Son, we live in a world that has walls, and those walls have to be guarded by men with guns . . . You don’t want the truth because deep down in places you don’t talk about at parties, you want me on that wall, you need me on that wall . . . I have neither the time nor the inclination to explain myself to a man who rises and sleeps under the blanket of the very freedom that I provide, and then questions the manner in which I provide it. 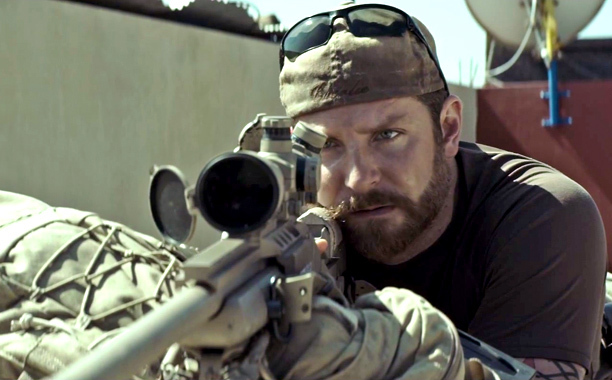 As American Sniper (the book and the movie) makes clear, Chris Kyle was dripping with PTSD when he left the military. He was so thoroughly immersed in the high drama and camaraderie of war that the banal rhythms of middle class Americana left him dazed and disoriented. Both Eddie Ray Routh and Kyle drank heavily as they wrestled with their demons. Kyle found a measure of redemption by helping fellow PTSD sufferers and was at a firing range trying to help Mr. Routh when his good deed was rewarded with a hail of bullets. But even if, like me, you regard the Iraq war as a tragic mistake, Colonel Jessup’s argument is persuasive. If we take the fruits of American empire for granted while whining about the military industrial complex we can’t handle the truth. Empires need huge standing armies and a willingness to use them, and this is true even if the wars that broke the spirits of men like Kyle and Routh were unjustified and ill-conceived. If America is to remain the world’s only superpower we need men like Chris Kyle standing on the wall. Cynics like Bill Maher may dismiss Kyle as a “psychopath” but he was nothing of the sort. Kyle’s brothers in arms called him “the legend” because he was precisely the sort of volunteer the American military was looking for: bold, brash, resilient and utterly ruthless. It takes guts to face enemy fire and, especially in these days of an all-volunteer military, you’ve got to admire those who place their lives on the line to protect American interests. We should grieve with families who lose sons and brothers in battle; and we must work for the healing of soldiers, like Kyle and Routh, who return from the battlefield with damaged bodies, hearts and minds. Nor should we dismiss Chris Kyle’s Christian faith out of hand. Can a man of war who boasted in his best-selling book that he despised the enemy be regarded as a Christian in good standing? It all depends on who gets to define the world “Christian”. As the word is generally defined in the American twenty-first century, and as the word has been defined since the emperor Constantine made Christianity the official religion of empire in the early fourth century, Chris Kyle is a Christian soldier par excellence. And this is true even though Jesus said that those who live by the sword will die by the sword (a tragic irony in Chris Kyle’s case). Nor does Jesus’ insistence that his followers must love their enemies and reject violence in all its forms disqualify self-described killers like Chris Kyle for Christian service. For the first three hundred years of Christian history, Christians were barred from serving in Caesar’s army; Jesus wasn’t subtle about this stuff. But when Constantine baptized his soldiers with the sign of the cross, the ban on Christian military service was gradually lifted. Eventually, you couldn’t serve in Caesar’s army unless you named Jesus as Lord and Savior. While many lament this rapid retreat from the Master’s teaching, it was an unavoidable consequence of transforming Christianity into an imperial religion. Men like Constantine (and Barack Obama) don’t take their marching orders from the Sermon on the Mount. Theologians from Augustine to Niebuhr have signed off on this fact. Here’s the truth we can’t handle: when Christianity moves to the center of public life, Jesus is driven to the margins. You can live by the standards of Christ’s non-violent kingdom, or you can wield political power, but you can’t do both. As a consequence, we must reckon with Chris Kyle, a Christian hero who loves his country, hates his enemy, and believes he can justify his violent acts–sanctioned and unsanctioned–before the throne of Almighty God. You can’t blame Mr. Kyle for joining together what Jesus rent asunder. When you grow up in Texas, that’s what you learn in Sunday school. Colonel Jessup and Governor Abbott are right, if we want the fruit of empire we must honor men like Chris Kyle. Conversely, if we want to take Jesus seriously, we must join him on the margins of society where love is the only kind of power to be had. To renounce violence is to renounce dreams of empire. Embrace the wisdom of Jesus and you will look like a fool. We might not like the way the American Sniper mixes guns, guts and God, but American Empire demands precisely this kind of muddle. Whether or not we can handle it, that’s the truth. And I would add another truth we can’t handle. In the lifetime of most alive to read with, we havee generally, as a nation, sent our soldiers off to wars for, at least, somewhat questionable reasons. And while we may make heroes of those who return an, in some form or another, uphold our justifications for our choices as a nation- we have done, pretty much without fail, a horrible job of dealing with those traumatized by our decisions as a nation. We, as a nation, don’t want to be reminded of the consequences of our choices- nor to be forced to think too deeply about whether we may have been wrong. I can’t believe for a second that Routh deserves- or will in anyway be reformed nor helped by life in prison. I do believee he- and countless others- did not receive the help they so badly needed after serving, not from the military, not from the military, not from our society. I know the truth about the religion of empire. Handling it is another proposition altogether. How do we would-be Followers of the Way live in the American Empire, with its materialistic philosophy and its militarism, both contrary to following Jesus in the way? We (some of us anyway) could be celibate. We could join the Shane Claibornes–(who, I understand, is no longer celibate). We could withhold our taxes to Caesar, but Caesar’s laws effectively exempt me from taxes on the federal level. Or we can compromise and try to point out how Religion of Empire and Following the Way are incompatible. Our pastor is leading a SS class in a Lenten study of “Renegade Gospel: The Rebel Jesus” by Mike Slaughter, pastor of the fourth largest United Methodist Church. Our pastor pointed out that UMC bishops have never endorsed entering into war–not WW I, not WW II, not Korea, not Vietnam, neither of the Gulf Wars. But United Methodists have provided high numbers of American soldiers who have fought in those wars. How can this be? Except that we are messy middle. Thanks for writing, Alan. Maybe “Farther along, we’ll know all about it; farther along we’ll understand why.” Maybe on the other hand we’ll never understand it all by and by. In our United Methodist Church building there is a special display on the wall in the Education wing honoring all those from the church serving in the military, but no special recognition for school teachers who teach our children, no special recognition for firefighters, or farmers, or—. In our newsletter each week there is a special section lifting up for prayer those in the military. I’m all for praying for people in the military–pray for their bodies and for their souls. I’m not for giving special honor to those in the military. My objections to the Iraq war to remove Sadam Heussein were of a practical nature, namely, that Iraq held Iran in check. Britain, an island in the North Sea, ruled much of the world with a navy and by practicing BALANCE OF POWER, something the U S government seems not to grasp. The United States and its allies have repeatedly meddled in Middle Eastern countries and created problems worse than they solved, starting with Jimmy Carter forcing out the Shah of Iran, removal of Kadaffy in Lybia and the Teleban in Afghanistan. Our leaders cannot accept that some cultures cannot function in self government. Do we have the personal courage to face what Alan Bean is saying? At least we have to start fasting and praying to make atonement for imperial sins.